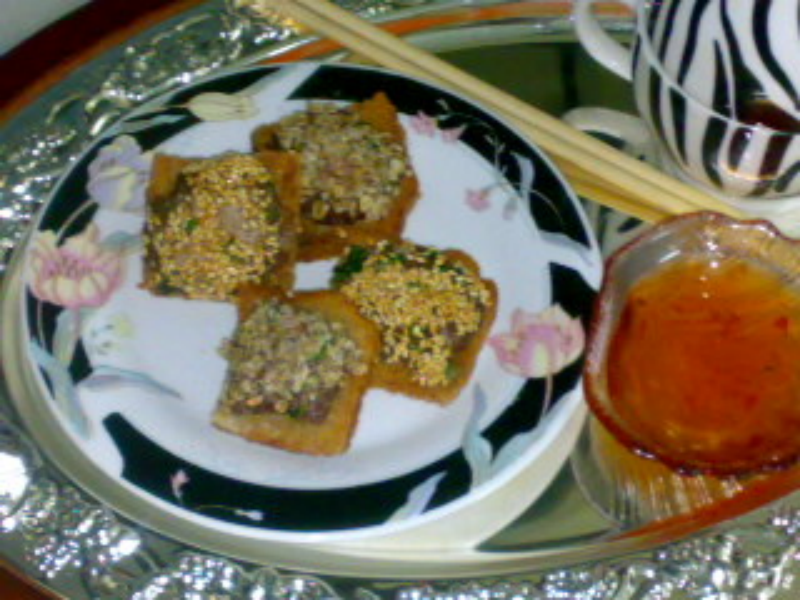 It's a substitute to the Chinese Prawn on toast with a desi twist which can be eaten with soups or just on it's own. 2 tbsp finely chopped coriander leaves. In a bowl combine mince, coriander, chili, garam masala, b pepper, salt, lemon juice, corn flour , Garlic & ginger paste and egg whites. Mix well & divide the mixture over the Cut bread ( your choice of shape cuts) press the topping on bread firmly & Sprinkle with sesame seed. Heat oil to 180c. Deep fry the bread making sure the mince side is down first, turn to the other side & fry till golden. Drain on absorbent kitchen towel.